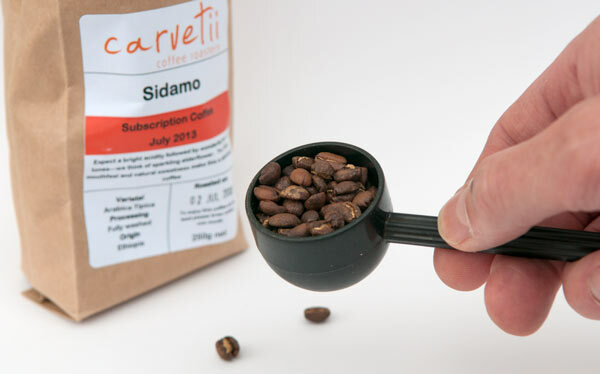 I received a new monthly Carvetii coffee subscription literally minutes after I had filled my Mazzer Mini. The Sidamo beans smelled so good I didn’t want to wait before giving them a try. 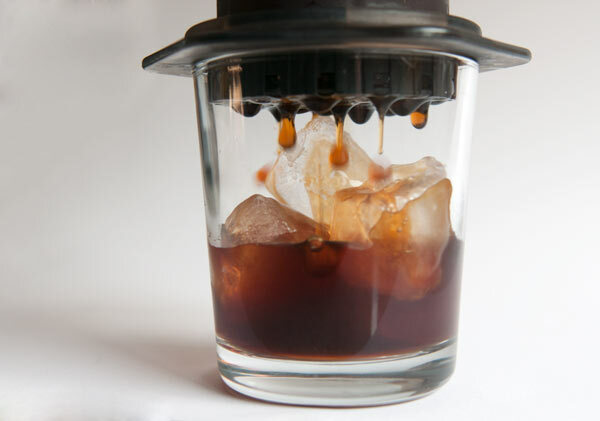 Normally I’d run a dose through the hand grinder but as I’ve not tried making iced coffee before I thought I’d give it a try. One scoop of bean is 13 grams on my scales. 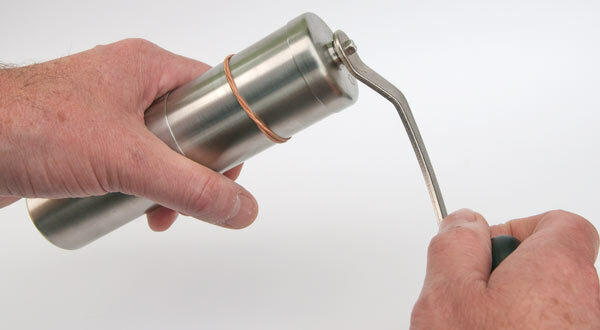 Drop the beans into the Porlex tall hand grinder set to a fairly coarse setting. 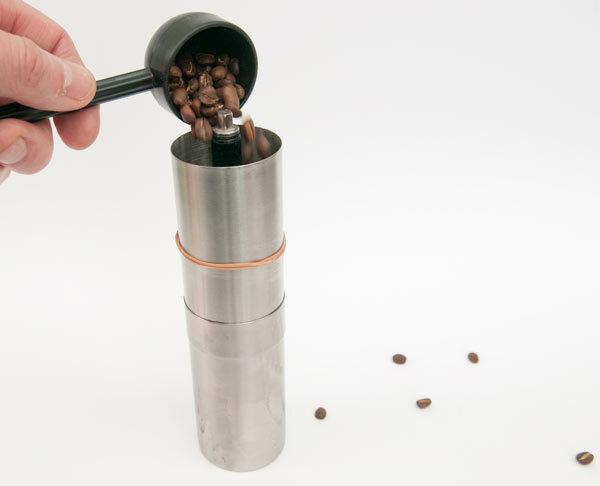 After about a minute of vigorous grinding the coffee is ready. 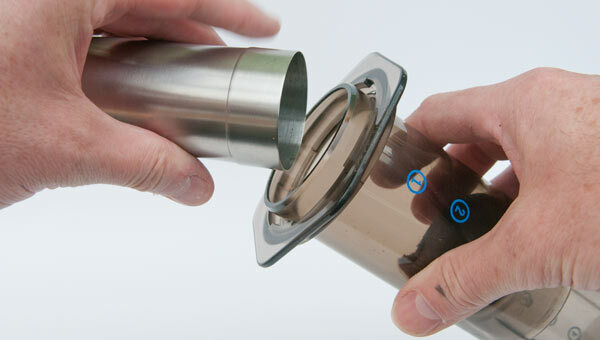 Tip the grounds into the Aeropress. Add 150ml of cold water. 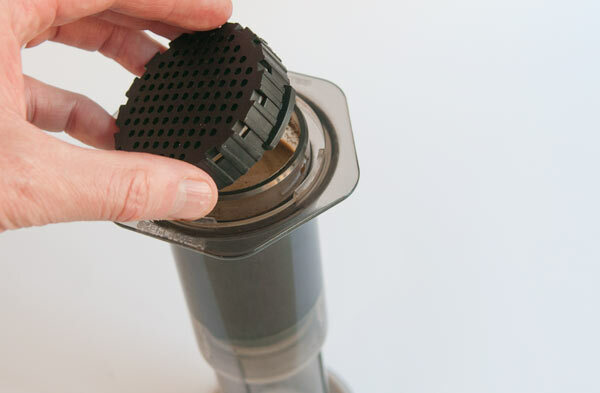 …then twist on the lid with a dampened filter paper in place. 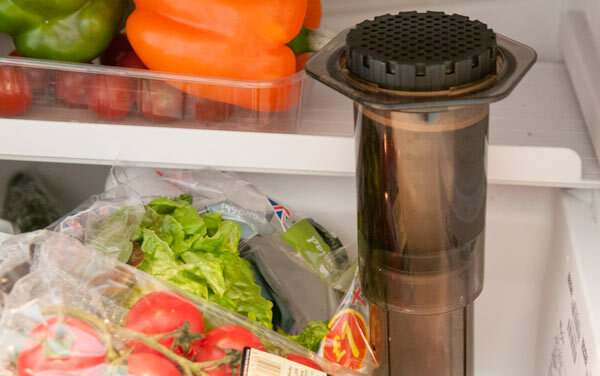 Put the charged Aeropress into the fridge and leave it overnight. 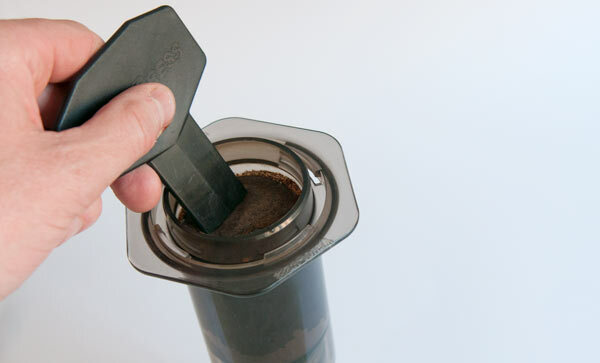 In the morning, add some ice to a glass then firmly plunge the Aeropress over about 10-15 seconds. 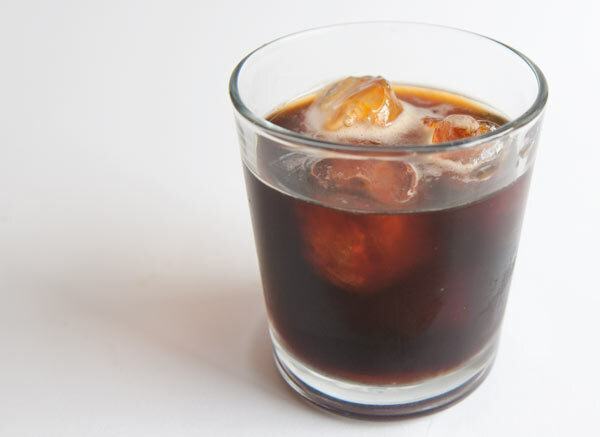 Enjoy your delicious refreshing iced coffee. I certainly did!